Sometimes we need an immersion in a cooling, calming place of our choosing. That might involve turning off our devices, turning away from social media, turning towards what nourishes us. It might be sitting in silence, or playing music loud. It might be the catharsis of working with our hands, or the release of letting them rest. It might be solitude or connection, work or play, stillness or movement, mindful or mindless. 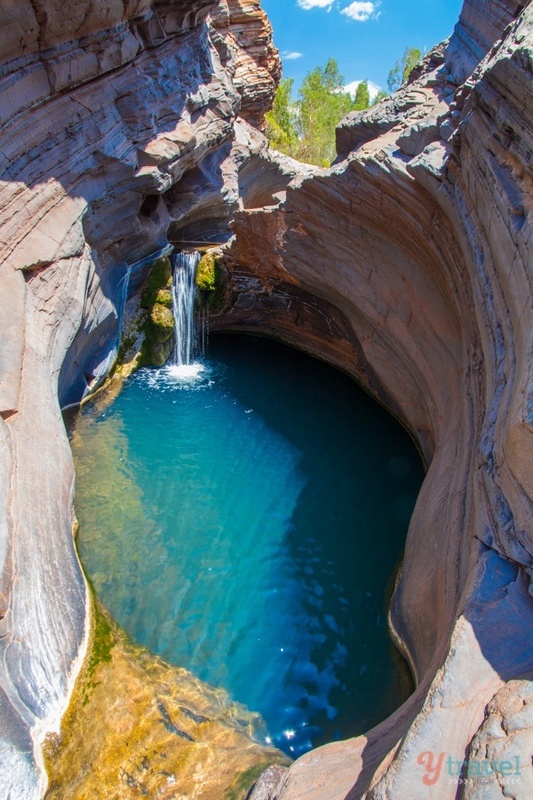 School is currently out in Western Australia, and while I am working, I have been taking time out across the break to bathe in oases of sorts. I’ve been on a brief holiday with my family, pottered around the house, seen friends and indulged in another haven of mine: academic writing. Those of you who write for a living or are in the throes of a PhD (Oh, the unicorn-dancing-in-a-champagne-waterfall highs! Oh, the despairing bottom-of-the-dark-pit lows!) might roll your eyes or baulk at writing as an oasis. But after a term of working full-time in an exciting but challenging newly-formed role in a school, selling a house, buying a house, moving house, parenting my two lovely children, and trying to maintain relationships with family and friends, I was ready for a break from the relentlessness. From feeling like the mouse on the wheel, full of urgency and repetitive motion. Not only that, but both social media and real life have had their share of challenges lately. Academic writing has been a welcome and nurturing reprieve; simultaneously mental work and a mental break. Academic writing continues to be like my PhD, which I sometimes managed to think of as a holiday from all-the-other-things, or intellectual me-time, although without the weighty pressure or looming examination. Papers and chapters are more bite-size and more varied, and pleasingly always at different stages; just as one becomes difficult, another is coming together or being accepted. Of course academic writing is not easy or necessarily enjoyable. With it comes challenge, struggle, sometimes brutal feedback. It helps that the acwri I’m doing at the moment is writing I want to do. I’m engaged, interested, motivated, intrigued. I’m learning, growing, pushing at the boundaries of what I know and can do. Academic writing allows me to extend myself in different ways to my school role. Some of this writing is solo, but I’m also writing papers and chapters collaboratively, something still pretty new to me. Perhaps the collaboration is the coolest part because working with others takes me out of my usual groove, my usual ways of thinking and writing. It gets me engaging with others’ words and these spur my words on. 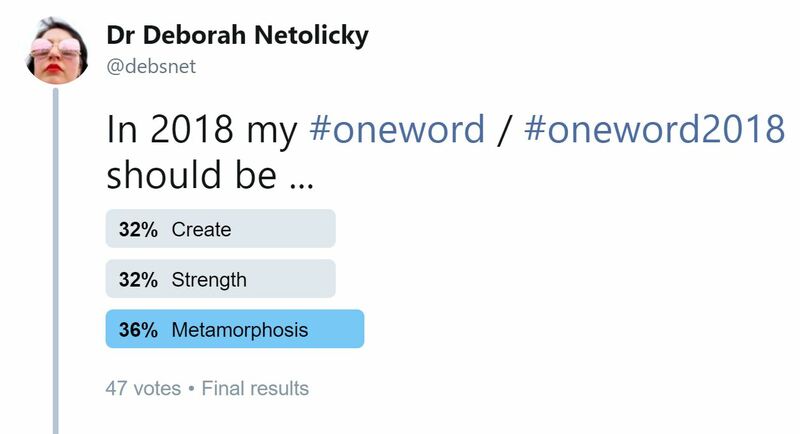 Our words are like gifts from a science fiction world; they shapeshift and take on different lives as they are passed back and forth between authors. This kind of writing and collaboration is somewhere for a writer to luxuriate. Nestle in. Be cocooned by the writing while at the same time deliciously confronted by it. I brace for feedback but at the same time allow myself to be vulnerable and to be shaped. To read unfamiliar theory, try alternate approaches, or to tinker with new ways of theorising, researching and writing. To have one or more other writers to generate and energise. It’s cool. It’s fun. It’s a welcome distraction from the daily rush of work during term time and the barrage of angry educators slinging accusations at one another on Twitter (thank goodness for my arguing on EduTwitter bingo card!). This holiday break I’ve worked on a solo-authored journal paper and a collaborative chapter so far. I’ve got one more collaborative chapter to look at over the next few days. I’m looking forward to it. Like a cup of tea at the end of the day after the kids have gone to bed, for my pracademic self, straddling as I do the worlds of school and academia, academic writing can be a moment of ‘aaaaaahhhh’, of indulgence, of me-time. In 2015 the Oxford Dictionary word of the year was the ‘face with tears of joy’ emoji. This year I have seen PhD researchers communicate their theses via emoji on Twitter. 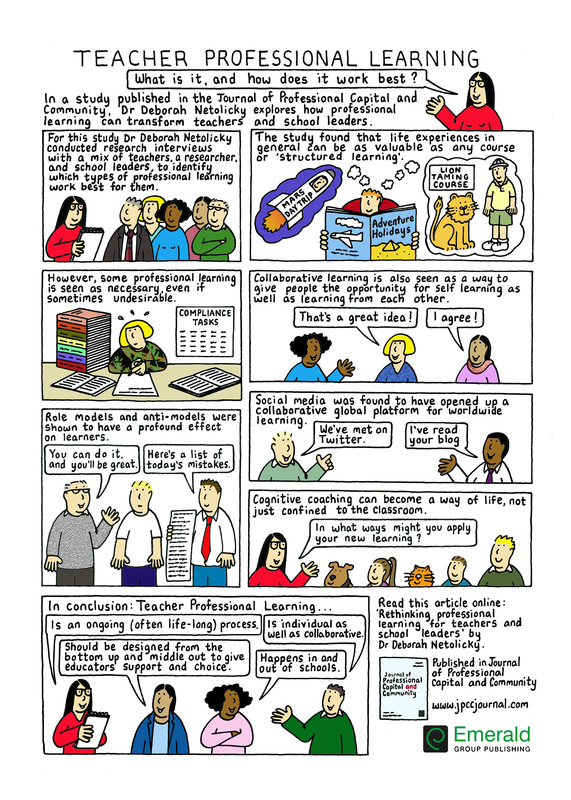 Today Emerald Publishing and the Journal of Professional Capital and Community released the following cartoon abstract of my peer-reviewed paper ‘Rethinking professional learning for teachers and school leaders’. The paper itself, which has so far been downloaded over 4000 times, is open access, and I have also blogged about it. What do you think of the notion of a cartoon or graphical abstract of a research paper? Is this a way forward for science communication? Can we use visual language to make research more accessible and more widely read? Could you or would you be open to designing a cartoon strip or graphic-novel-style summary of your research? This blog post is a bit of a sequel to last Friday’s blog about the influence my teachers have had on my educator self. It’s a continuation of the reflections about what kinds of life-wide experiences have shaped me professionally. Telling my own story is related to this paper in which I wrote that those things that affect our professional educator identities are collaborative and individual; occurring in life, school, and work; and requiring elements of support and challenge. Personal life experiences, as well as professional experiences, shape educators’ beliefs and practices. I’ve alluded to some of my wobbly moments when I talked about embracing my discomfort zone, learning that I grow most in times of challenge. But I’m often not always up front about those times. I usually prefer to paint my own narrative with a rosy hue. I tend not to focus too much on failure, but rather on areas of celebration and of improvement. I don’t enjoy lingering too long on soul-crushing defeat, although I am comfortable learning from missteps. Below, however, I provide a glimpse into my long and ordinary history of failure and disappointment, and how that has shaped me. My childhood of course consisted of experiences in which I was not successful. The Mathematics classroom and the sporting field were arenas in which I learned what it felt like to be a failure. I distinctly remember a moment in primary school when I asked my mum to keep me home from school on Sports Carnival day so I could avoid having my lack of athleticism paraded for everyone to see. I was thinking of the events in which I would have to compete, against children at least a year older than me, and in which I would ultimately lose. I distinctly remember her answer, which has stuck with me: “You are good at school every day. You get to be the person who enjoys success in class and feels good about herself. Today is the day for other students to have success and feel good about themselves.” I’m pretty sure her response was along the lines of, “Today is the day you get to be crap at something; now go and be crap at it,” and the insinuation that this was somehow valuable for me. Of course my primary school self was mainly upset that I had to have a day of feeling sub-par and coming last, but even at that age it allowed me to feel grateful that I only had to feel that occasionally. What about the students who felt like failures every day in every lesson, for whom school was a place of constant embarrassment and not being good enough? This experience shaped my teacher identity. I try to remember in my teaching (especially as my subject is a compulsory one), that many of my students may not be enthusiastic about the subject or good at the subject; they may come with preconceived negative emotions, reactions, and expectations. They may have been imprinted with years of feeling failure in English, feeling exposed when asked to read aloud or feeling alarmed and distressed by corrections on their written work. How, I ask myself, do I engage and ‘get’ those students for whom being in an English classroom is a challenge or makes them feel like a failure, an idiot or a fish out of water? How can I make the experience of my classroom a more positive one? How can I make them feel understood and confident? Much later, I was shaped by my experiences of failure in my PhD. I have described before the pits of PhDespair. I remember the moment when one of my supervisors said to me about a draft chapter, “When I read your research proposal, I thought you were a really good writer (pause for effect) and then I read this.” My supervisors told me that I needed to make the argument of the chapter clearer. This advice bemused and frustrated me. As a teacher of English and Literature, and someone who has ghost-written, copy-written, and creative-written in various contexts, I felt like I was now the remedial student in class who could not comprehend what was expected of her, or what good (academic) writing looked like. At these meetings I would nod, and afterwards I would go home, still confused. (It felt a lot like when my dad would help me with my Maths homework; eventually I would nod and say I got it, but I remained confused about how to achieve success.) I repeatedly went between my notes from my meeting with my supervisors and my draft chapter, trying to find a way to action advice that I did not fully understand. What would it look like if I was a critical reader and a clear academic writer? Clearly not what it looked like at that point in time. The proverbial sweat and tears on those early pages was intense and immense. I struggled, grappled, tried, yearned to ‘do it right,’ to understand what doing it right looked like, and still felt as though I was poking around in the dark with a flaccid stick, blind and impotent. This experience was uncomfortable, squirmy, and difficult. 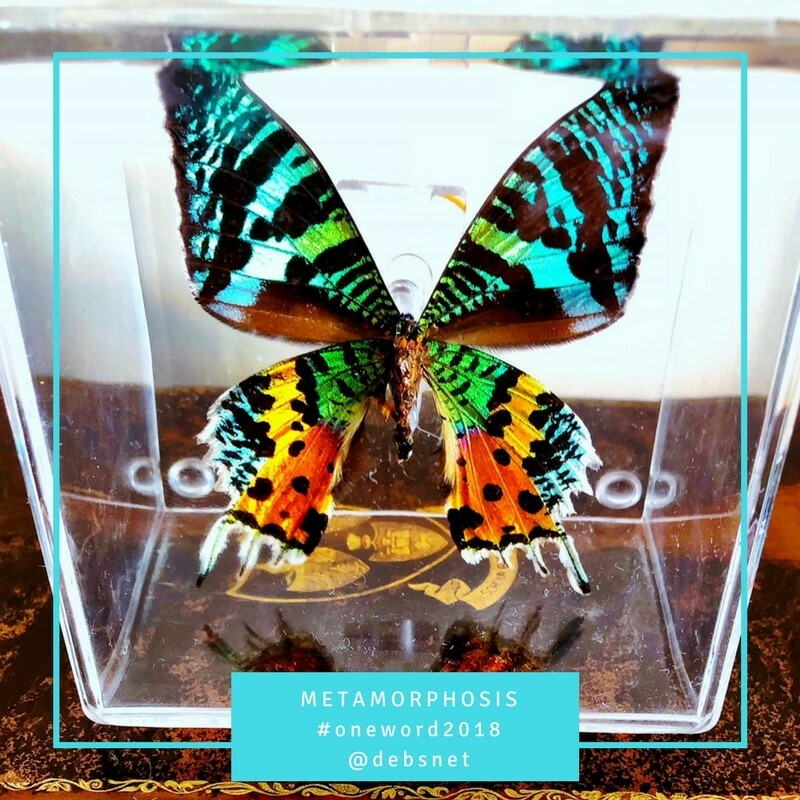 And it was in that space in which I started to make incremental changes, small steps towards understanding, towards ‘doing good research’ and ‘doing good academic writing.’ It is that space in which I which I was growing, transforming and learning. Meanwhile, that same week I provided my English classes with exemplars of good answers and worked through what it looked like to have written a piece which clearly addressed the criteria. While providing models is a part of my normal teaching practice, it certainly came to the fore while I was searching for it for my own writing. As time has gone on, I have found that place of struggle less dark and more invigorating, because I’ve grown to see it as a place of breakthrough, rather than a place of breakdown. Peer review continues to be a place of growth for me. As I said in this post, receiving reviews often feels like simultaneously receiving a high five and a punch in the face. We all fail at some things, some times. Some of us fail more than others. We hear terms like ‘growth mindset’ (which has been almost decoupled from Dweck’s research in some buzzword-happy arenas) and phrases like ‘FAIL = first attempt in learning’ and ‘fail fast, fail often.’ But failure is not a catchy slogan or a viral meme. It is a deeply felt experience that shapes us. The more I fail, the more I’m able to see failure as an opportunity, rather than a slight. Failure and disappointment are inescapable parts of being a human. From childhood we develop strategies to sit with the emotion (disappointment! despair! anger! anguish! incredulity! imposter syndrome!) before, hopefully, rationally moving past the emotional to a place where we can be logical and take positive action. We have choices in how we respond to success and failure. We can develop ways to approach those moments in our lives. Acknowledging failure as a part of our cycles of being, doing and feeling means that we can face it, sit with it, and see what gifts it might offer us. I make about two cakes a year, one for each of my children’s birthdays. One year ago, baking and decorating my eldest son’s cake prompted a blog post in which I compared making a novelty birthday cake to doing a PhD. This year, baking his double-layer chocolate cake (decorated as an AFL football field) had me thinking: this cake making business is a lot like writing, particularly academic writing. My boys are 4 and (just) 6, so on my one-cake-per-child’s-birthday / two-cakes-per-year average, I haven’t baked that many cakes. Yet this week’s cake (pictured above), is the first cake that has felt stress-free to make, and first one for which I haven’t made big mistakes in the making. In the past my cake and icing mixes have split and curdled. I have broken cakes trying to get them out of the pan. There have been times when I decorated cakes the day before serving and the colours from the candy bled into the icing. Once, a heavy cake topper figurine sunk into the cake overnight. Earlier this year, I got a knife caught in the beaters while making icing, which resulted in me icing myself and the whole kitchen, including the ceiling. I didn’t feel quite the Nigella-esque image of domestic goddessery when I couldn’t see through my tears and icing-splattered spectacles. This week there was none of the cake-anxiety drama. Baking and decorating were calm and enjoyable. Much of this was due to the knowledge and skills I have gained over time, as well as processes I have developed for this task. I knew to leave my ingredients out so that they were room temperature when I used them, preventing mixes from splitting. I knew to alternate mixing in dry and wet ingredients. I knew to take the time to cover the whole inside of the pan with carefully-traced-and-cut-and-placed bake paper so that the cake would slide out easily, with a now-practiced flourish, onto a wire rack. I knew to ice the cake while it was partly frozen to prevent crumbs in the icing, and to leave the extra decorations off until the icing was set so that the colours didn’t bleed. I had a familiar routine set out over a few days which made the process manageable. I also knew my materials better, what they could and couldn’t do. My expectations were managed. The cake was a bit lopsided, the icing a bit uneven, the drawn lines a bit skewwhiff. These imperfections were the marks of me as the maker, and I was ok with those idiosyncrasies. They were the ‘voice’ or the ‘me’ in the cake. My reflections on my journey as a novice baker and decorator remind me of my arc as an academic writer. 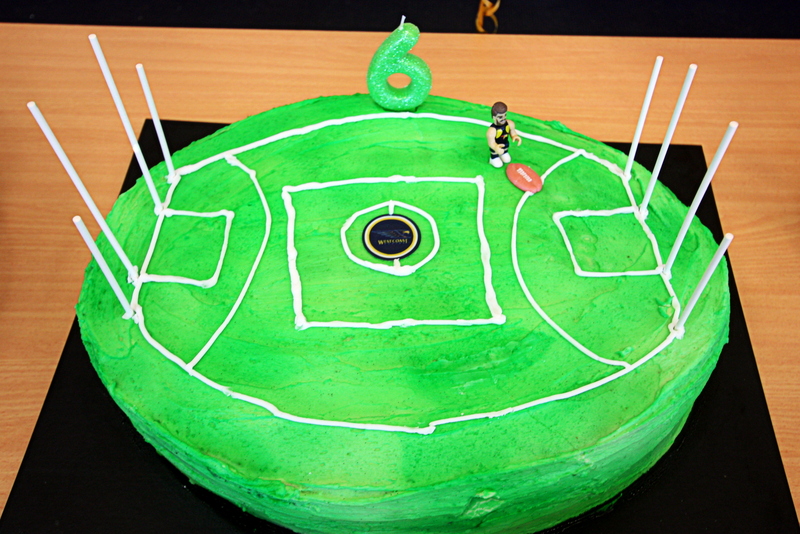 The brief for each cake (footy! outer space! race track! ), or each paper or chapter (this journal! that book! this field! that theory! ), is different, requiring planning and consideration at the outset about how to proceed in order to reach a particular end point. Academic writing requires a nuanced understanding of its ingredients, materials and processes. The writer needs to understand, and be able to expertly manipulate, the language of particular disciplines and the language of particular journals. They build a growing knowledge of theories and literatures. Like the baker, the writer develops a routine, a flow, an individualised writing process that works for them, including how to time their work, how to structure it, how to build layers of meaning, how to perfect and polish it in the final stages. They acquire tools and strategies for their work, things that make the work smoother and produce a better product. Some knowings and doings become internalized over time, with the writer having to think less about them, able to turn their attentions to refining their craft, developing deeper understandings and pushing the scope of their work beyond the limits of its previous iterations. Writers hone their voice, the ‘me’-ness in their writing, while watching out for their writing tics. Like a cake made for a particular individual and a specific celebration, a piece of writing is often constructed with a particular audience in mind. Peer review of cake at a child’s birthday party is gentler than that in academia, but the party guest’s purpose is to appreciate and thank the host, while the peer reviewer’s purpose is to critically judge and improve the work. Once writing is published, more feedback comes in the forms of citations, downloads, reviews and social media shares. The audiences are different, but for both baking and writing there are accepted norms of feedback from others. A baker might dread the grimaced smiles of guests pretending to enjoy their cake while they leave slices unfinished, just as a writer might fear Reviewer 3’s scathing critique or the deafening silence of an uncited, un-clicked-upon piece, lying unread in physical and online spaces. Peer review is, after all, often like getting a punch in the face and a high five simultaneously. While I am a sometimes-baker, I am a regular writer. I’m sure that if I baked with the constancy of my writing, it would improve markedly. I write something almost every day, for different purposes or different audiences. One distinction for me between baking and writing (obviously there are many differences!) is that I find I write my way into understanding, into knowing my own thinking and into interrogating my worlds and the writings of others. Writing is inquiry, identity work, illuminator. It is joy and struggle. And while a cake is devoured until only crumbs remain, writing lives on.